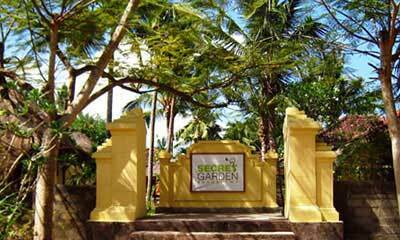 Beautiful tropical garden with bungalows spread out around a central swimming pool. 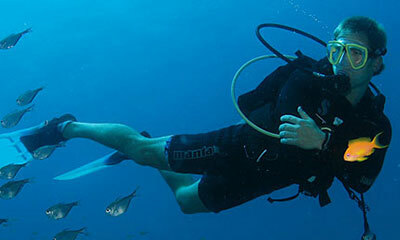 Dive Nusa Lembongan and Penida with Big Fish Diving, a scuba diving and yoga resort based on beautiful island of Lembongan just 25 minutes from mainland Bali. We are a PADI Five Star scuba diving resort offering daily dive trips for certified divers as well as the full range of scuba diving courses, from Introductory dives through to go-pro dive master internships. We also offer daily drop in yoga classes for all the levels of yogis and have a range of rooms to suit all budgets. The three islands of Nusa Lembongan, Nusa Ceningan and Nusa Penida offer some of the most exciting and rewarding diving in Indonesia and have just been announced as the Nusa Penida Marine Protected Area. Great news for the reefs, divers and manta rays cruising around. Big Fish Diving and Yoga Shack Lembongan are located within the Secret Garden Bungalows, an ideal choice for divers and yogis who want to roll out of bed and into their wetsuits or onto their mats each morning! We offer fan rooms as well as AC rooms to cover your accommodation needs. 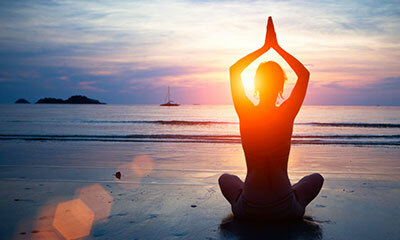 Join us at Yoga Shack Lembongan for one of our daily classes, or take part in a retreat. We welcome everyone, no matter what your level of experience or flexibility, and have a whole range of styles on offer. We provide yoga mats and props so all you need to bring is a smile.